I like to regularly change things on my bicycles, in particular I love fresh tyres on a bike.....give your bike a bit of a clean, fit some new tyres and there you have a brand new bike! It’s time to change the tyres on my Pashley Guvnor, I’ve had the bike for 5 years now and although the original white Schwalbe Delta Cruiser tyres (28 x 1 1/2 or 40-635 ETRTO) are not worn out its time to freshen up the bike with a new set of tyres. I’ve been having a look at tyre options and I am pleased to see that there are a couple of new options for tyre replacement. Firstly, I’m keen to retain white tyres on the bike. The Guvnor, being a replicated 1930’s path racer, is fitted with white tyres that were typical of the period. White tyres on a vintage ride do look good! 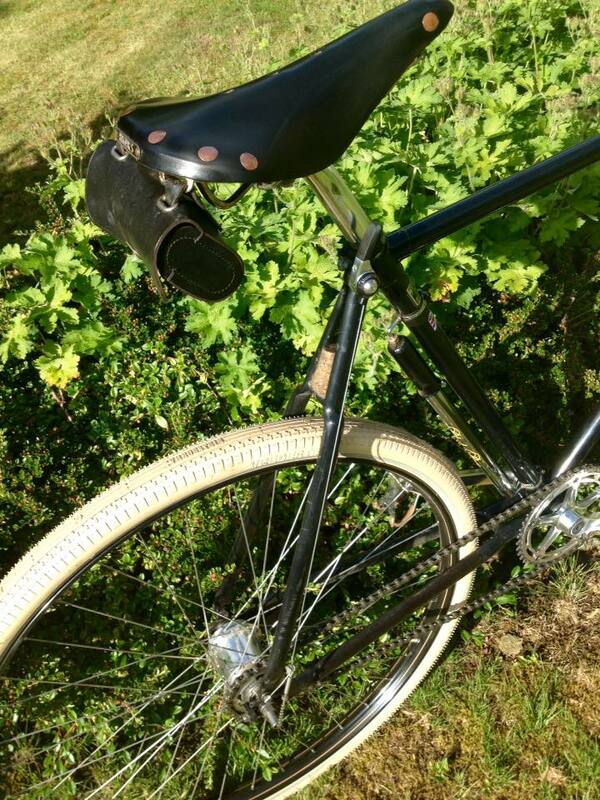 I notice that the new Pashley Speed 5 comes fitted with black Schwalbe Delta Cruiser tyres. They also look good but I still prefer a white tyre. 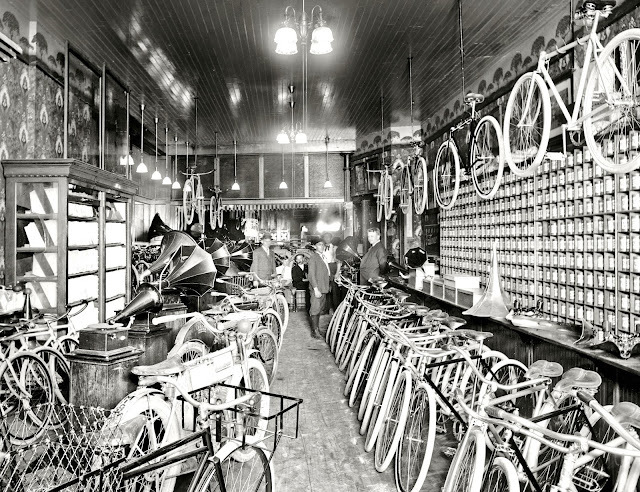 All rubber bicycle tyres in the early 1900’s were originally white, which was the natural colour of rubber. Unfortunately they wore quickly and would stain easily. 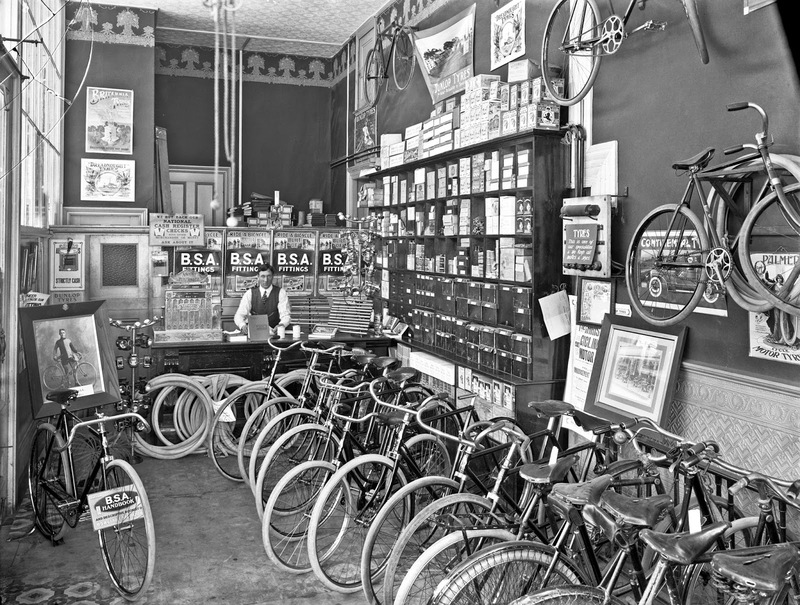 Inside a New Zealand bicycle shop in 1910. .....and a bicycle shop in the USA in 1920. Eventually 'carbon black' (raw carbon soot) was added to the rubber compound making tyres black in colour. Carbon black greatly increased the durability and strength of rubber tyres and this greatly increased their lifespan. Unfortunately the addition of carbon black in the tyre manufacturing process came at a high cost, so regular priced bicycle tyres remained white in colour, and black tyres became expensive. From a purely cosmetic perspective, black tyres were also easier to keep clean, so they eventually became more desirable than white tyres. Luckily for us the black tyre manufacturing process became cheaper over time making black bicycle tyres more affordable for everyone. 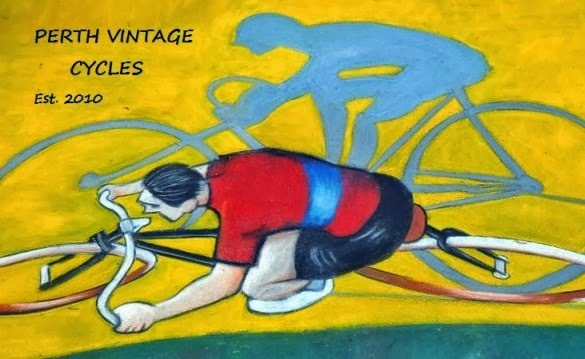 Nowadays, as the popularity of cycling is on the increase, so is the variety of tyre options for vintage styled bicycles. At the time of its release in 2009, there were very few white tyre options available to Pashley. I've recently discovered a couple of new options. Here is one fitted to a Guv'nor, that's one cool tyre! 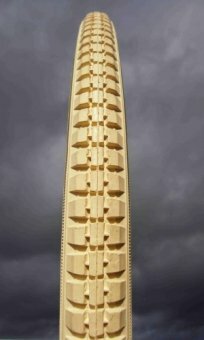 Just released by Continental, but not yet readily available! The Vredestein tyre certainly appeals to me - the lettering in the tread pattern looks really cool. 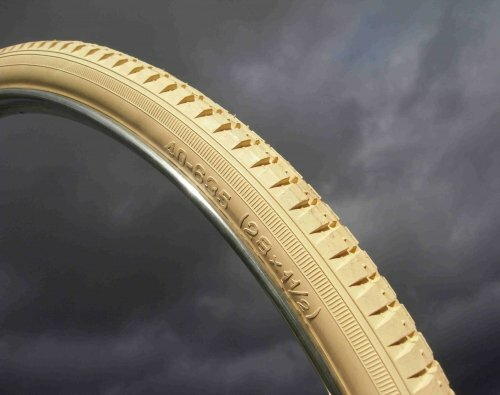 I do however prefer the clean styling of the new Continental Classic Ride tyre. 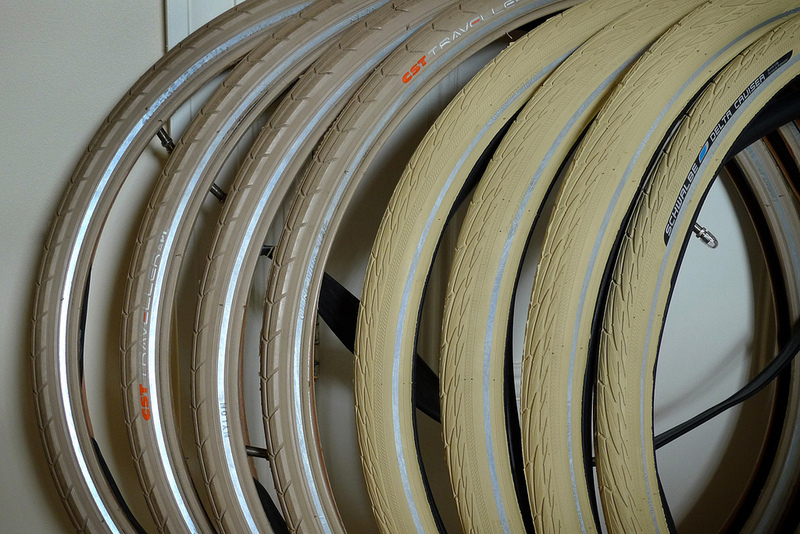 I run Continental tyres on my road bikes and find that they are just excellent. 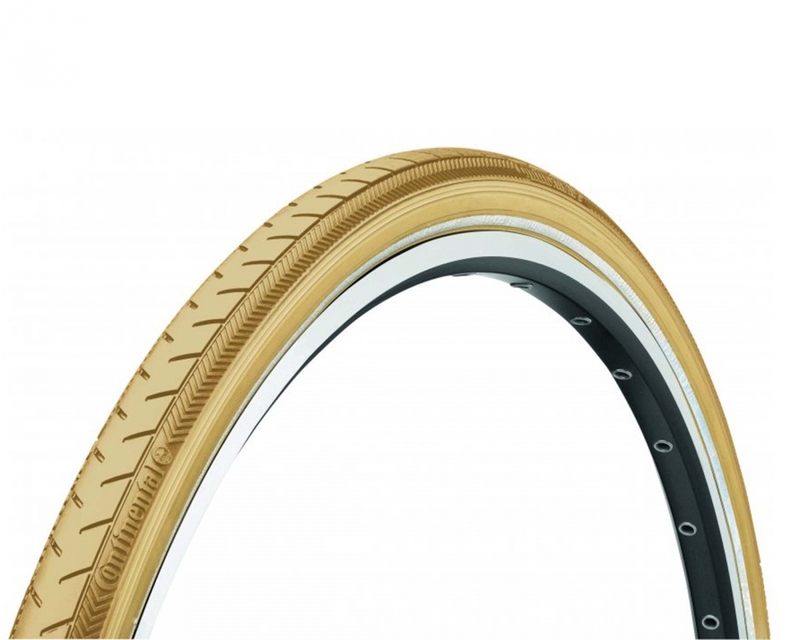 I've noticed that the new Conty Classic Ride tyres have only just been released and at the moment are hard to come by, I'm sure this will change as they become more popular.